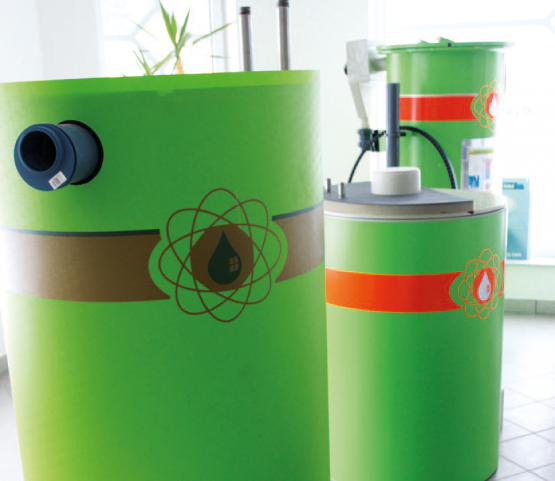 Use wastewater heat for heating-cooling-hot water! More than 40% of the world’s energy requirements are used for heating and cooling, including hot water preparation. With the heat of wastewater, we have a huge energy potential at our disposal, which can be used with state-of-the-art heat exchanger and heat pump technology – economically, efficiently and innovatively! Day after day, a considerable amount of wastewater accumulates in buildings. 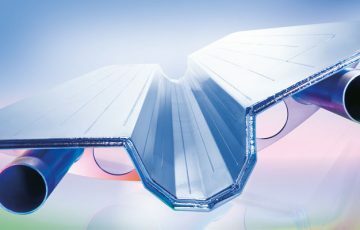 With innovative, self-cleaning heat exchangers, it is possible to recover up to two-thirds of the heat from the wastewater and use it efficiently for hot water preparation. The result: less energy consumption, less costs, less CO2 emissions. The wastewater is collected in the mantle of the tower and heats the fresh water in the inner tank. The heated water is removed from the upper part of the inner container and fed as preheated fresh water to the existing water heating system. 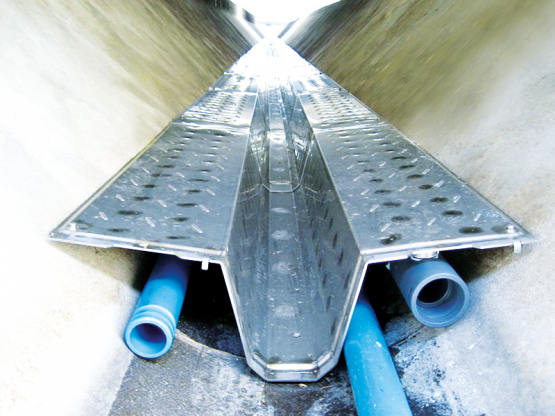 The pre-treated wastewater flows through the countercurrent heat exchanger and heats the incoming fresh water. 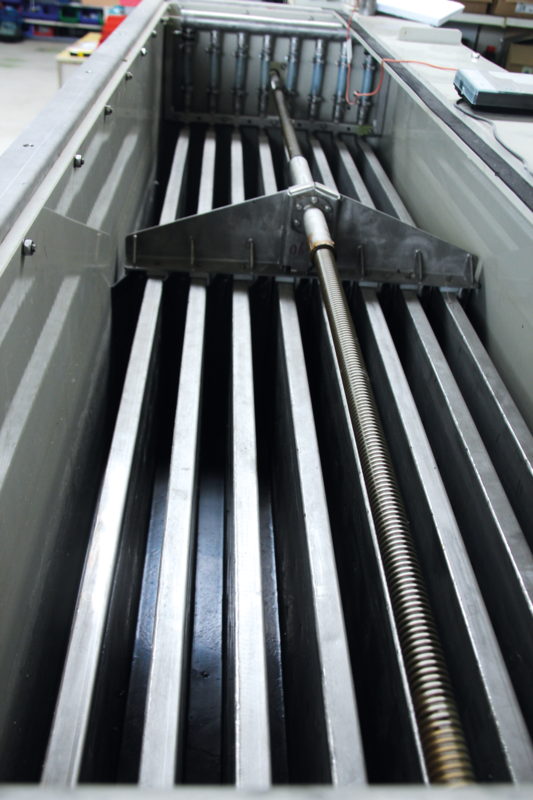 A cleaning scraper removes the dirt on the heat exchanger surface daily, whereby an optimal heat transfer is guaranteed. 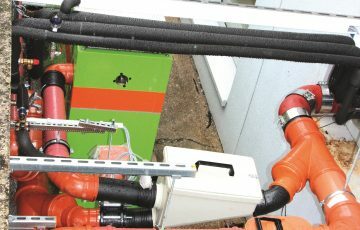 If office and residential buildings, hospitals or shopping centers are located near canals with a waste water volume of at least 10 liters per second, these buildings can be heated and cooled with the energy from the wastewater in a particularly economical and environmentally friendly manner. 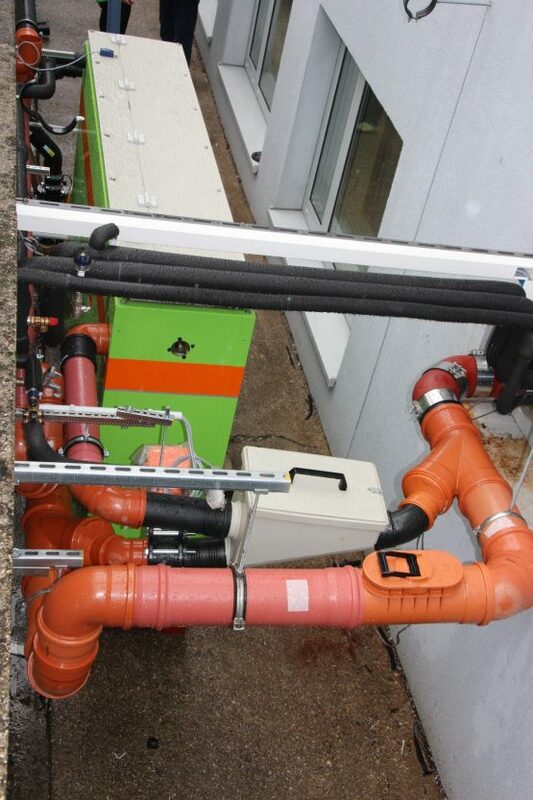 Innovative heat exchanger systems and efficient heat pumps are used here, which significantly reduce energy costs and CO2 emissions for systems with an output of more than 100 kW. We are looking for the best technology for your project. We carry out a feasibility study for you and calculate the profitability.